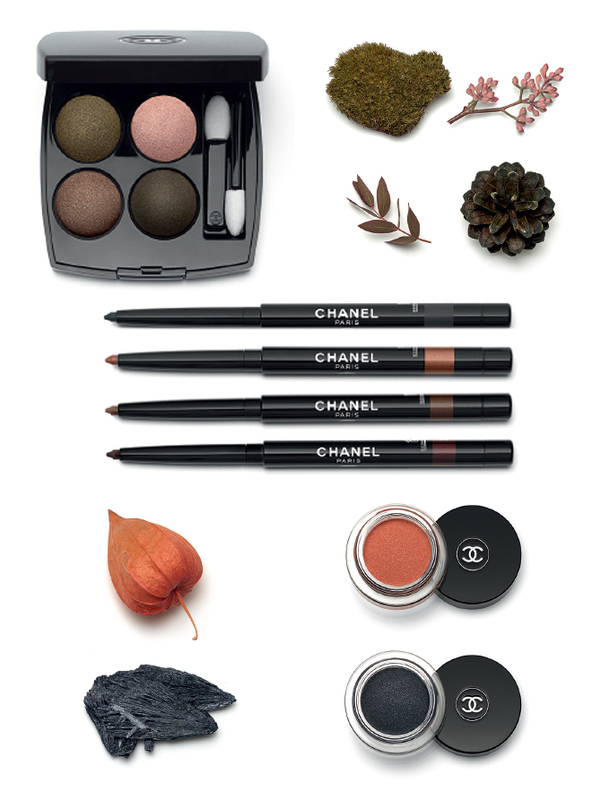 While we look forward to welcoming summer, the rest of the world is getting ready for winter – and with that a brand new, beautiful Makeup Collection for Autumn 2015 from Chanel. 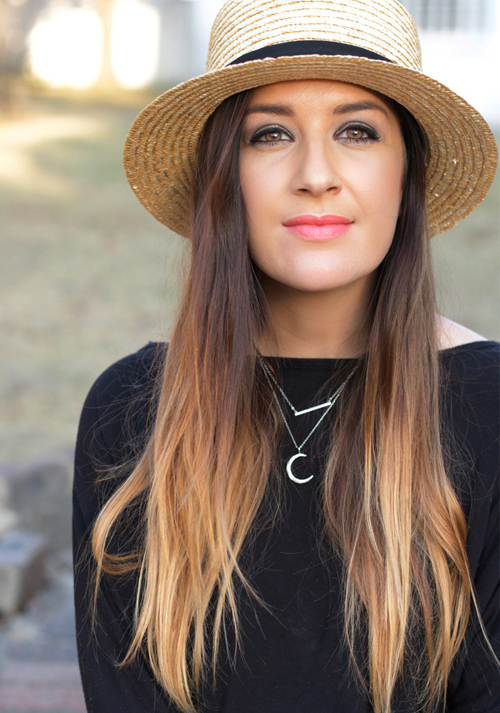 Chanel Collection Automnales launches in South Africa this week (available from the 21st August 2015), and I’ve got a little sneak peek to get you as excited as I am! I don’t know about you, but late in the summer, I always romanticise about autumn and winter. I don’t know if its the thought of cocooning in cozy textures, or spending hours in front of a sizzling fireplace, the colder months definitely seem more indulgent, richer and more enchanted. 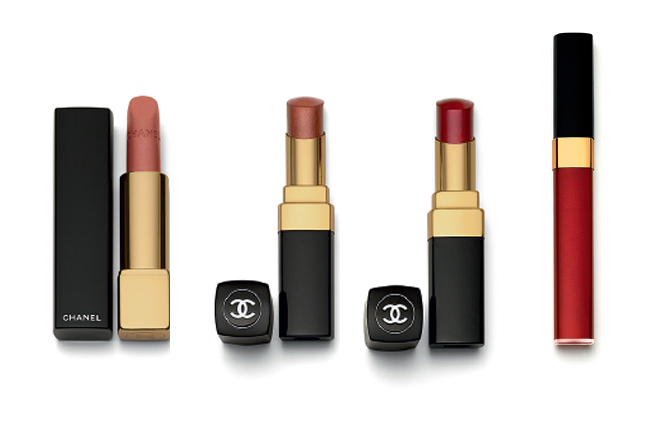 And that’s what the Chanel Makeup Creation Studio has done with their new makeup collection for winter 2015/2016. Inspired by the magical season of autumn, they’ve developed a collection of essentials caught between shadow and light, combining muted undertones and radiance. As the leaves change colour, warm and subtle harmonies compose a collection of timeless elegance focused on shades of khaki, brown, fawn and ochre notes, lush greens and flamboyant reds. If autumn were a tapestry, it would be woven of brown, fawn and khaki squares sewn together with gold, bronze and copper threads, accented by a few colourful touches of rust orange. The Limited Edition Eyeshadow Palette for this collection; Entrelacs is composed of five beautiful shades in varying finishes of satin and matt textures and includes a golden beige, velvety beige, bronze with golden shimmers, deep brown and beige tones. 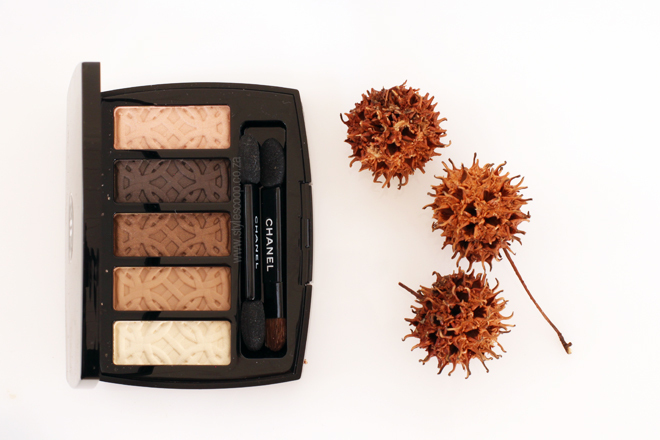 It’s a palette that will compliment just about every eye colour under the sun. What makes it even more special is that it’s stamped with a graphic motif inspired by Cistercian stained glass windows. – a design that is thought to have inspired Mademoiselle Chanel to design the iconic double C of the House. 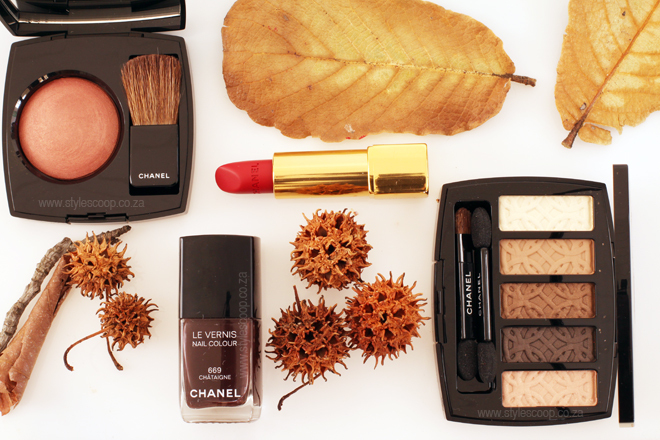 The rest of the eye collection is equally as beautiful and indulgent. The eyeshadow quad, LES 4 OMBRES in Tissé d’Automne is inspired by moss, eucalyptus flower, eucalyptus leaves and pine cones, featuring beautiful shades of golden khaki, peach beige, copper brown and deep khaki. STYLO YEUX WATERPROOF, long lasting eye shadows for this collection come in four new shades; Feuilles (black), Ardent (an amber tone), Érable (a rich brown) and Pomme de Pin (a cranberry brown). All so beautiful, I have my eye on Pomme de Pin. And lastly in the eye collection, ILLUSION D’OMBRE cream shadows in Rouge-Gorge and Fleur de Pierre. Inspired by physalis and grey kyanite. The single blush for this collection is beautiful! 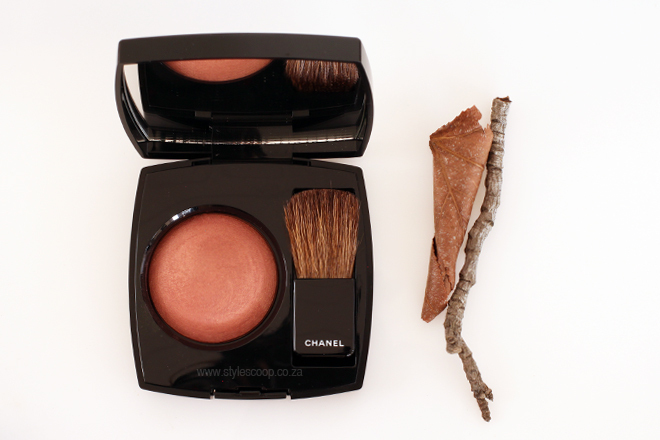 And probably one of my favourite Chanel blushes to date (from the ones that I’ve tried that is). 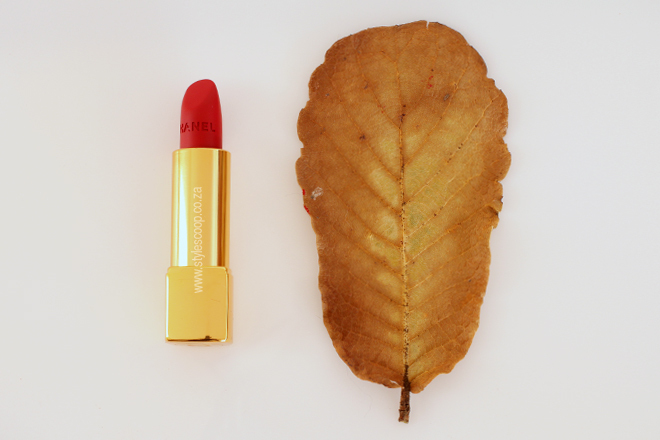 The colour of JOUES CONTRASTE in Alezane is inspired by willow catkin and eucalyptus leaf. Its a beautiful brownish pink with slight golden shimmers to give you a beautiful warm glow. 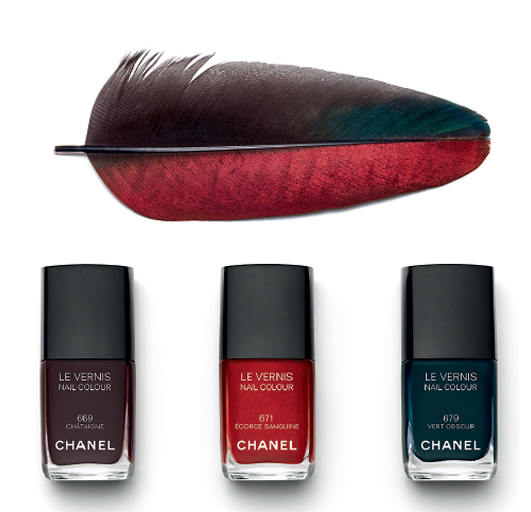 The nail polish selection in this collection has been inspired by the ocellated turkey feather. Brining in a wonderful, warm and wintery mix of reddish browns (Châtaigne), brick red (Écorce Sanguine) and dark greens mixed with a hint of blue (Vert Obscur). 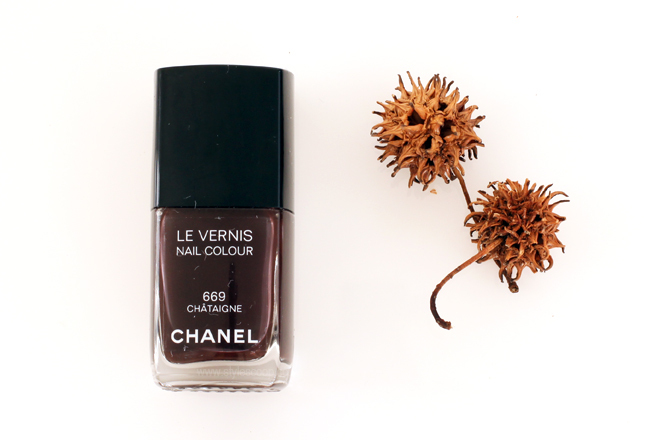 I got to sample the shade Châtaigne, which is my fave colour for winter nails. I’m a huge fan of Chanel Rouge Noir and Essie Wicked and this beautiful and unique mix of reddish brown is just up my alley! The lip selection for this collection is simply, yet gorgeous, with one Rouge Allure in Pensive, two Rouge Coco Shines in Mélancolie and Téméraire, one lipgloss in Chêne Rouge and one Rouge Allure Velvet in La Bouleversante, which I was lucky enough to sample (see it in the second pic). This collection definitely makes me think I’ll miss winter!